Prahaladbhai Shivrambhai Patel, aged 56 years, is the Chairman, Managing Director and CEO of our Company. He holds a Bachelor’s degree in civil engineering. Prior to incorporation of our Company, he had been carrying on the business of civil construction by way of a proprietorship firm. He has over 30 years of experience in the business of construction and has played a significant role in the development of our business. He has also been featured in the book titled “Business Game Changer: Shoonya se Shikhar” authored by Prakash Biyani and Kamlesh Maheshwari for completing government’s infrastructure project before the scheduled time for which he also received appreciation of Prime Minister, Mr.Narendra Modi (When C.M. Gujarat). and is the chairman of the CSR committee. Pooja Patel, aged 26 years, is the Executive director of our company. 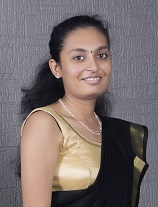 She holds a Bachelor’s degree in Civil Engineering from Gujarat Technological University. 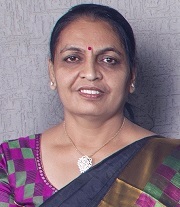 She also holds a Diploma in financial management from Ahmedabad Management Association. She is actively involved in the execution of the projects by the company and is presently looking after the Surat Diamond Bourse Project. She also represented our company in Indian Concrete Institute Chapter-1, Ahmedabad. 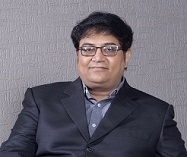 Chirag Shah, aged 51 years, is the Independent Director of our company. He holds a Bachelor’s degree in pharmacy from Gujarat University. He has several years of experience in the pharmaceutical industry. 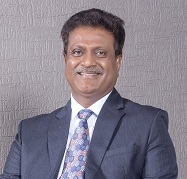 He is currently also a Director of Finecare Enterprises Private Limited, Neuation Technologies Private Limited, Accumax Lab Devices Private Limited and Firstcase Biosystems Private Limited. He is involved in the manufacturing of laboratory equipments. He is the Chairman of the Nomination and Remuneration Committee and Stakeholder Relationship Committee of our company. 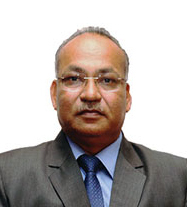 Sandeep Shah, aged 56 years, is the Independent Director of our company. He holds a Bachelor’s degree in Commerce and Bachelor’s degree in Law from Gujarat University. 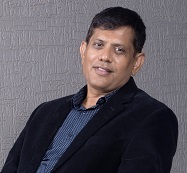 He also has over 20 years of experience in information technology and is currently the Chairman and Managing Director of the Creative Infotech Private Limited, which is involved in the business of information technology. Vasishtha Patel, aged 55 years, is the Independent Director of our company. He holds a Bachelor’s degree in Business Administration from Sardar Patel University and a Master’s degree in Business Administration from South Gujarat University. He has over 20 years of experience in management and exports. He previously held various managerial positions including handling the business opportunities and operations of the international division of company. He is currently the managing director of Multico Exports Private Limited, which is involved in the export of pharmaceuticals and raw materials. He is Chairman of the Audit Committee of our company.